This SAS tutorial will help you learn SAS from the basics, so you can become a SAS certified professional. This SAS tutorial includes various aspects of SAS like its programming structure, user interface, variables, strings, arrays, functions, operators, loops and more. Learn SAS from Intellipaat SAS certification training and fast-track your career. 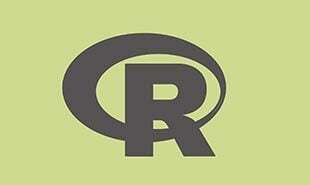 SAS (Statistical Analysis System) is a software system for data inspection and report writing. Statistical Analysis System is a batch of programs that work together to reclaim them and to reserve data values, reform data, evaluate complex and single exponential analyses and generate reports. Performs critical functions such as mathematics, data and time processing, character processing, etc. *.log SAS log file containing errors, data set details, etc. In order to use Statistical Analysis System, Data should be in an Excel table format or SAS format. It is necessary to understand about how the data should be organized in tables so that it can be able to run on SAS. There are three windows appear when Statistical Analysis System is opened. The left window is called the Results/ Explorer window. The leading window contains the Log window, the Editor window and the Output window. To toggle among the windows, the tabs along the bottom are used. To browse SAS libraries, program files and the outcome of exponential methods, Results/ Explorer Window are used which is on the left side of the screen. The Results/Explorer Window is used to discover SAS data sets and other SAS-associated records. Data sets that have been imported into SAS will be found under Libraries in Sasuser or Work. Sasuser stored the data until it is explicitly deleted by the user, while Work automatically cleared the data when the program is closed. Both Results Window and the Output Window is used to look at the final outcome of exponential methods. Learn more about SAS in this insightful blog now! Become SAS Certified in 20 hrs. To generate, modify, and execute Statistical Analysis System programs, Program Editor Window is used. 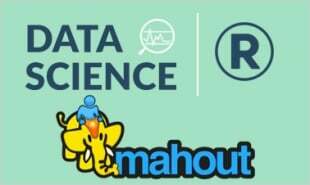 Here, any data manipulation and analytical tasks can be performed through writing of code that instructs SAS how to process the data. To save the code created by SAS Analyst for editing, to generate a record of an observation/analysis, or to re-run an analysis in the future the Program Editor can be used. The Output window is used to visualize the output from the program. To view the results originated by the submitted program, Output window is used. Statistics in Output window can be viewed for getting the results, printed, or saved for future purpose. The Output generate in the Output window can be saved as a text file and then edited, if required in any supporting tool or application like Microsoft Word. To check a program for errors, Log window is used. The Log window also accommodates essential summary details about the errors that occurred during the program. In the Log window, blue color is used to highlight comments and red color is used to highlight error messages. To import data into SAS, an Excel file can be used in a predefined format in Data sets. To convert the data into the form required by SAS, Open the Calculating machine data from the web page in Excel and save it. Each row will be considered as a single observation, and the columns will contain statistics on the machine (A/B), the replicate (1 to 10), and the noticed time for the calculation. To import data into SAS, Simply select File -> Import Data and follow the directions. 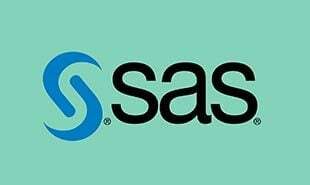 "5 Responses on SAS Tutorial - Learn SAS Prgramming from Experts"
While SAS had not been called ‘Statistical Analysis System’ in a VERY long time, the information in this article is very good. Nice tutorial..It provides a clear & straight forward insight into the new technologies that are hitting the IT market. Nice tutorial…I just spent some time going through all of them and I learnt most. An excellent tutorial for beginners. very helpful , five *!! 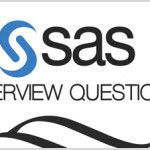 Sign Up or Login to view the Free SAS Tutorial - Learn SAS Prgramming from Experts.